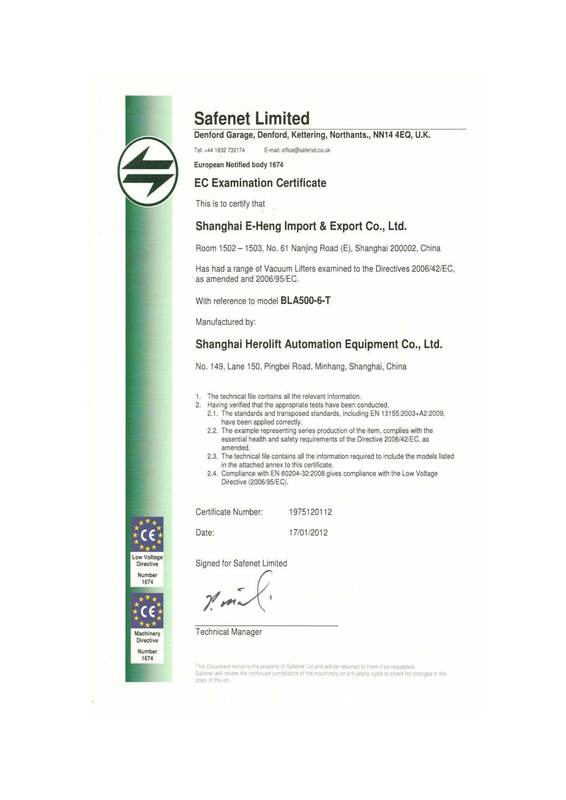 Company Overview - Shanghai Herolift Automation Equipment Co., Ltd.
9YRSShanghai Herolift Automation Equipment Co., Ltd. Since 2006, Shanghai Herolift Automation Equipment Co., Ltd. is a manufacturer of Vacuum Lifters with well-equipped testing equipment and strong technical force. With a wide range, good quality, reasonable prices and stylish designs, our products are extensively used in Glass, Chemical, Food, Metal Working, Solar, Packaging, Pharmaceutical and other industries. We supply design, manufacture, assembly and after-sales service to customers.We're an agent for TAWI AB Company in Sweden providing vacuum tube lifts (Vacueasylift) and Trolleys (Protema). 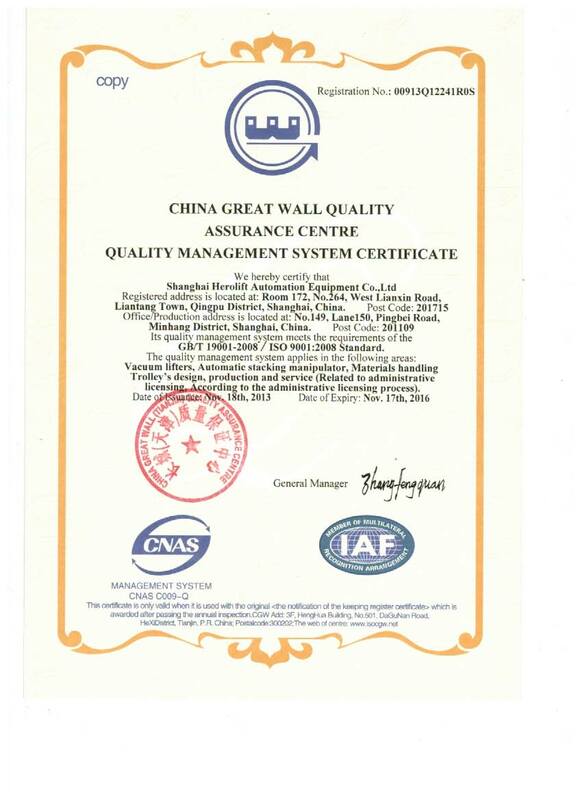 "Good quality, quick response, the best price" is our goal. Vacuum lifters, Automatic stacking manipulator, Material handling Trolley's design, production and service. Model No. : BLA500-6-T, BLS500-6-T, GLA400-4-B-M, GLA600-6-B-M, GLA800-8-B-M. etc. Vacuum lifters,Automatic stacking manipulator, Material handling Trolley's design, Poduction and serivce.